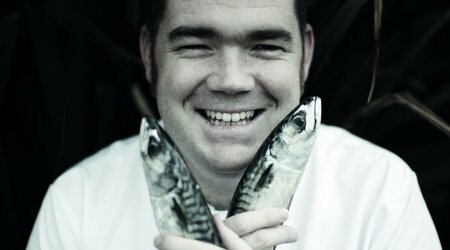 Recently awarded two coveted Michelin stars for his eponymous fish restaurant in Cornwall, Nathan Outlaw is one of the most exciting up-and-coming chefs in Britain today. In his new book, Fish Kitchen, it is easy to see why the likes of Rick Stein and Heston Blumenthal are singing his praise. Fish Kitchen covers all kinds of unique and tantalising recipes, from whiskey-cured salmon with kohlrabi and horseradish yoghurt to a seafood burger with apple and celeriac salad. Over 70 original recipes are accompanied by step-by-step guides on how to prepare each type of fish, with each dish brought to life by tantalising full-colour photography. This delectable array of elegant dishes will teach you when and where to buy the best fish and shellfish and how to fry, steam, barbecue, poach, pickle, smoke and cure to perfection – and much more. Don’t miss this chance to try Nathan’s recipes, freshly cooked by the master himself.